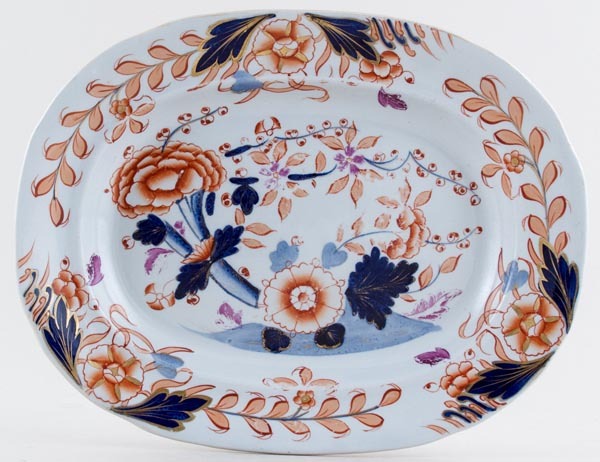 A delightful small platter with lustre rim and gilt highlights. Backstamp: Davenport Longport Staffordre Stone China. Some surface scratching resulting in a little loss of pattern.